Bighorn Golf Club. Golf Bighorn Palm Desert. 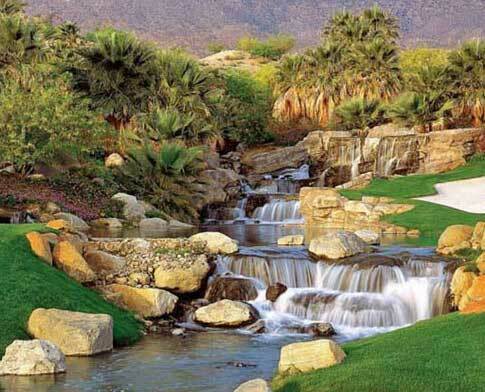 Bighorn golf course details and information about Bighorn in Palm Desert, California. Bighorn Palm Desert is beautiful from every angle! The private course is set 1000 feet above the valley floor, with nice views of the Santa Rosa Mountains. It has a good reputation among the world’s most luxurious resort communities. With two Bighorn golf courses, there are 36-holes of championship golf. Members can enjoy one game or take on a tournament. Either way, Bighorn golf courses feature stunning greens that you’ll want to play on again! In addition, Bighorn Golf Club also has lots of amenities. They include a world-class Spa & Wellness Center, 7 dining venues, transportation services, and a busy social calendar.